Samsung officially announced the availability of its latest Android phone – Galaxy Star. Dual SIM Galaxy Star is one of most affordable smartphone in country, priced at Rs 5,240 (maximum retail price, street price is approx Rs 4,900). 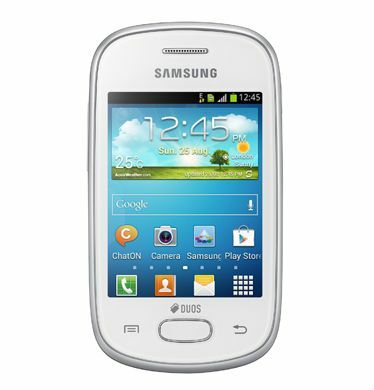 Though priced very pocket-friendly Galaxy Star is packed very well with specs and Android. With a 3 inch display Galaxy Star (GT-S5282) runs on Android 4.1 Jelly Bean and sports 1GHz processor, 512 MB RAM, 2MP rear camera and 1200 mAh battery. With the similar price and features Samsung’s Galaxy Star directly competes against Nokia Asha 501, which Nokia sees as flagship device in the low-cost smartphone range. Asha 501 sports a little better camera (3.15MP), while fails miserably with just 64 MB RAM to win customers. Both of the phones are 2G-only phone – means smart people won’t buy them. i want to know that is there any option for storage.